The California Genealogical Society and Library will celebrate the 115th anniversary of our founding at a special luncheon event. Dr. Andy Anderson, Chief Historian of Wells Fargo Bank, will present The Healing Power of Genealogy. 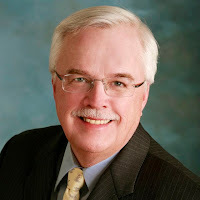 Dr. Anderson has given keynote addresses at both the National Genealogical Society and the Federation of Genealogical Society annual conferences. He is an inspirational speaker and we are honored to have him at our event. 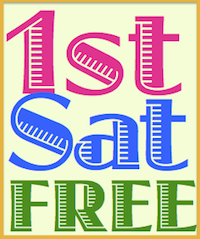 The festivities will include a social hour, used book sale and luncheon buffet. Several of the society's committees will have displays tables. Complimentary parking at City Center West Garage. Seating is limited. 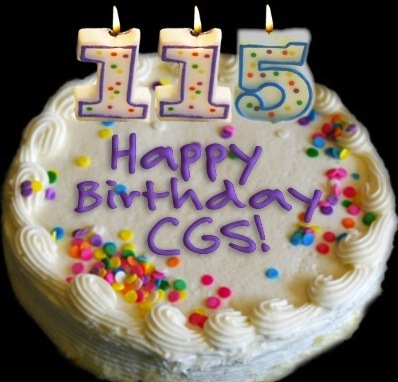 Be one of 115 members and friends who will gather to celebrate our 115th anniversary! Tickets are $40, including lunch and parking. If you would like to give a birthday gift to the California Genealogical Society, please round up the ticket price to include a donation to help support our library. If you cannot attend but would like to give a birthday gift, please donate online or send a birthday check to The California Genealogical Society, 2201 Broadway, Suite LL2, Oakland, CA 94612. Andy Anderson is executive vice president and chief historian of Wells Fargo & Company. Over the past thirty-four years, he has built the Wells Fargo archives, several history museums and a modern fleet of stagecoaches. He also has managed Wells Fargo’s corporate marketing, advertising, and brand management programs, and the initial development of wellsfargo.com in 1994. He is the author of Stagecoach: Wells Fargo and the Rise of the American Financial Services Industry (Simon & Schuster, February 2002). Dr. Anderson’s interest in history led him most recently to create the Wells Fargo Family & Business History Center to help families and businesses discover their own history and cultural roots. He believes a family can better manage its legacy into future generations by understanding its past. Dr. Anderson’s most recent publication is an interactive CD and Internet guide titled: "How to Find Your Family History & Cultural Roots." Copies of this CD are available gratis by contacting any Wells Fargo Wealth Management representative. His favorite quote is the advice Henry Wells offered to a young person who asked, in 1864, what it takes to succeed in business: "There is one very powerful business rule. It is summed up in the word — Courtesy." Dr. Anderson earned his Bachelor of Arts degree in History from Villanova University, and his Master of Arts and Ph.D. in History from The Ohio State University. He has taught history at Ohio State, Arizona State, and Stanford universities. He received his archival training at the Hoover Institution and the Archives Institute of the National Archives of the United States.